The stream near the site is contaminated with high acidity, iron, and aluminum. How did coal mining cause this? Pyrite, or “fool’s gold,” found in the coal bed and bedrock. When the pyrite was exposed as the coal was mined, a chemical reaction occured between the pyrite and the air, creating sulfuric acid, iron, and hydrogen ions. Sulfuric acid dissolves clays, gathers aluminum, and degrades the aquatic life. FUN FACT: When there is a lot of iron in a stream, the color orange will appear in some places. 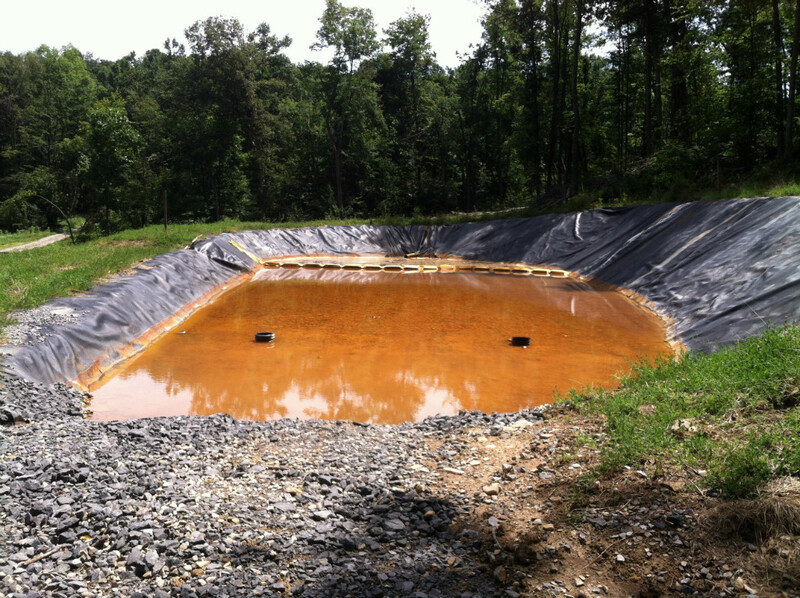 Some of the remediation efforts include the following: limestone leach beds, anaerobic vertical flow wetlands, sulfate reducing bioreactors, and settling ponds. It takes a lot of work to clean up the mess coal mining caused!